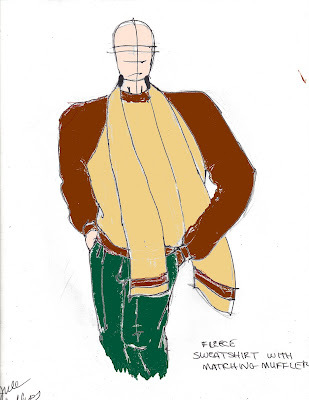 This is the working sketch for my two piece bias cut sweatshirt, shown here in two colors with a matching muffler. 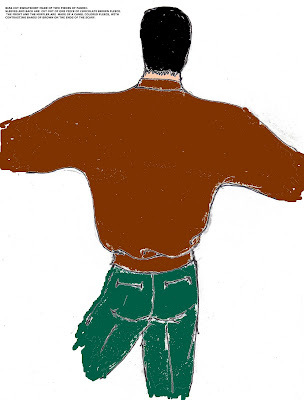 The sleeves and the back of the shirt are cut of one single piece of fabric, the front is in a contrasting camel colored fleece. There are only two main pieces as opposed to four. With the elimination of seams the fabric is allowed to drape over a man's body. The muffler is camel colored like the shirt front with contrasting bands of brown fleece on the ends.